Are you a pool shark with a game room or basement inspired by Sin City? 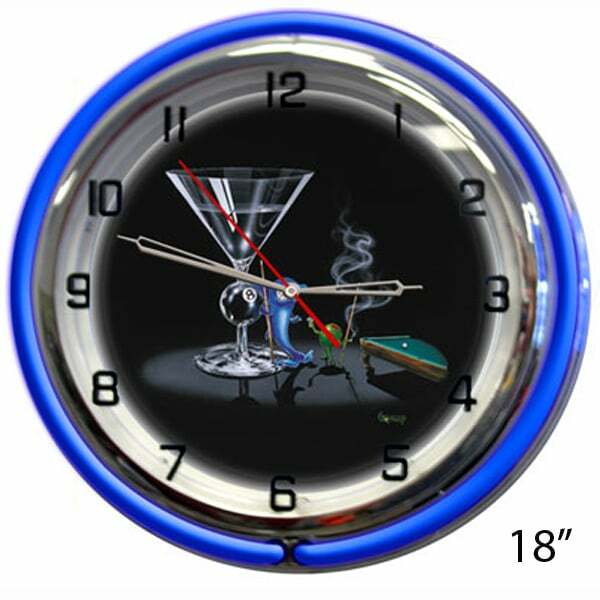 If so you must have the Pool Shark Wall Clock from Michael Godard Designs. A blue neon light surrounds artwork from the "Rock Star of the Art World" Michael Godard, with one of his famous martini olive characters playing pool with a grinning shark.